Open to both single & married female Malaysians aged 18 years and above. Must be at least 80kg in weight. 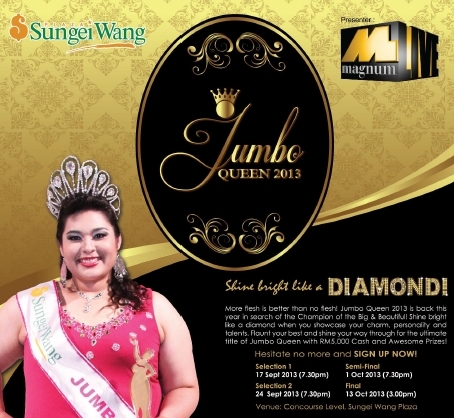 Submit your application form before 2 Sept 2013 by post or hand to Sungei Wang Plaza.